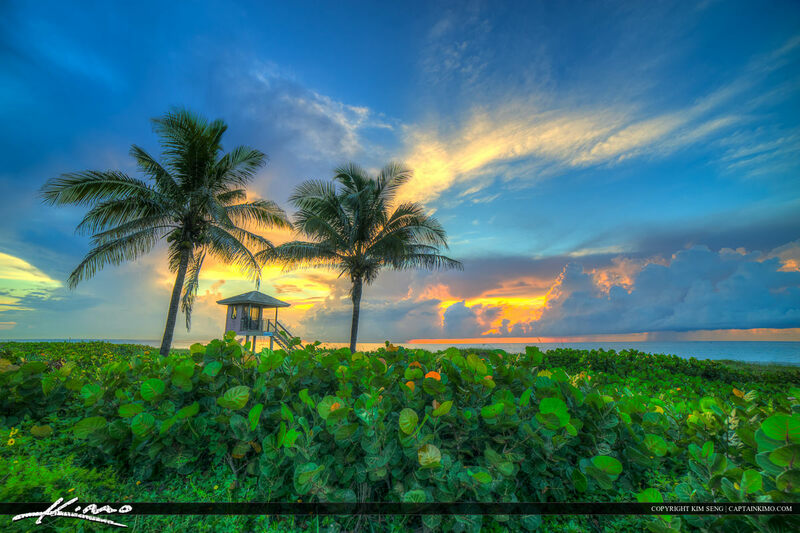 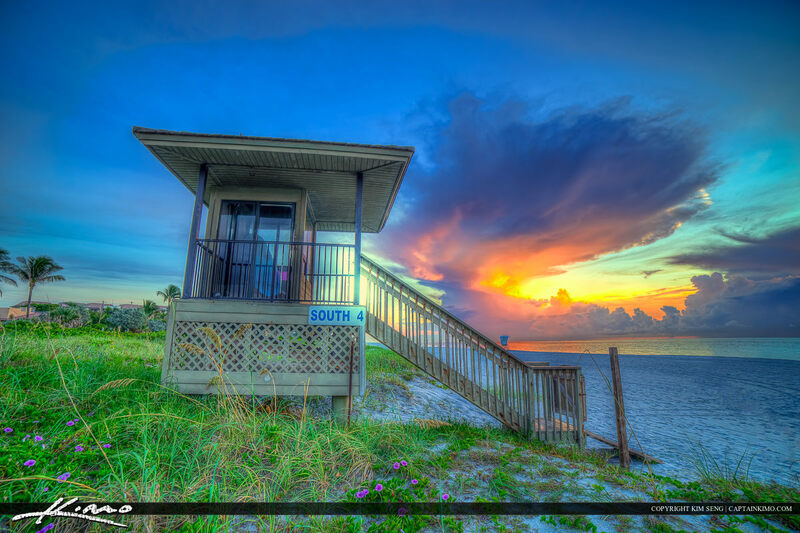 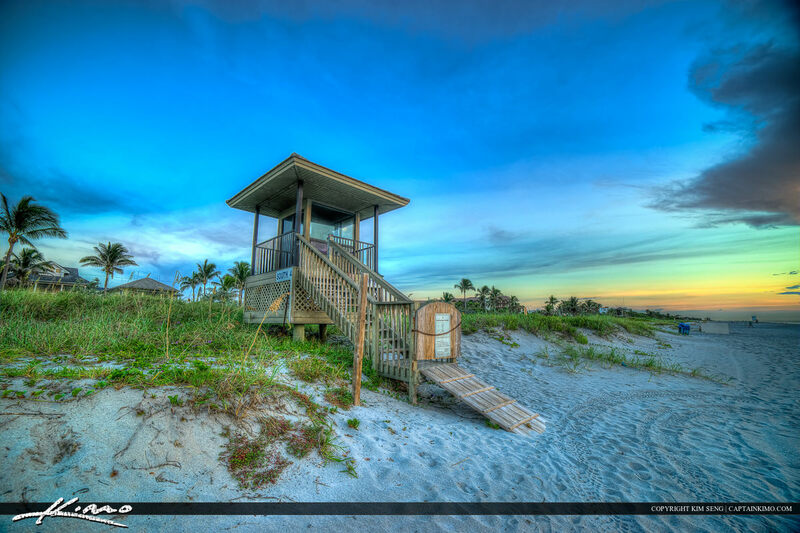 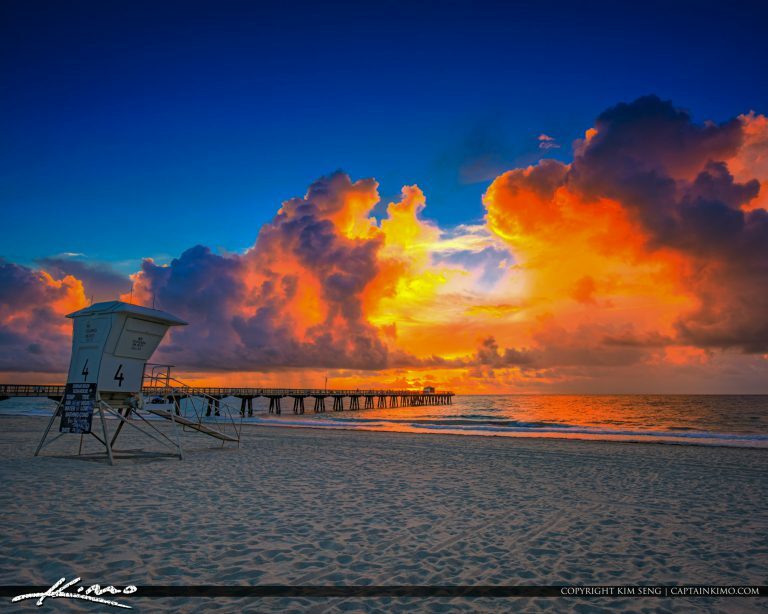 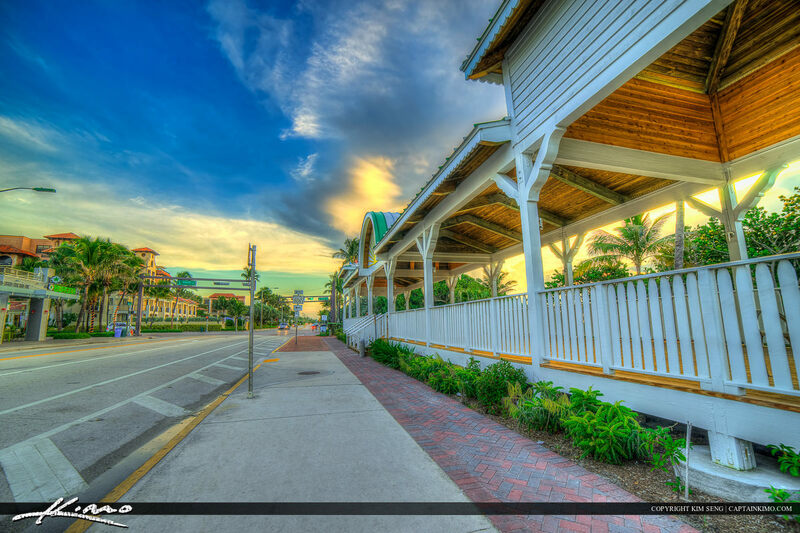 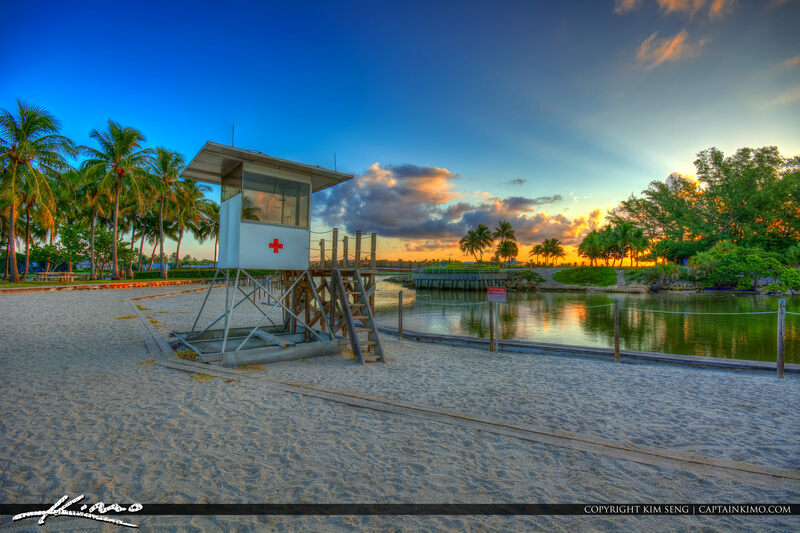 Sunrise from Palm Beach Island at the beach in West Palm Beach, Florida during sunrise by the lifeguard tower. 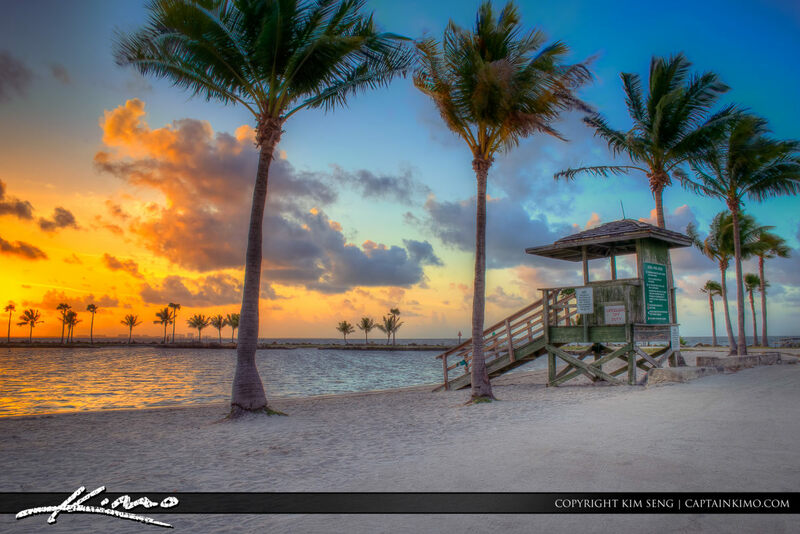 HDR image tone mapped using EasyHDR software and Topaz plugin. 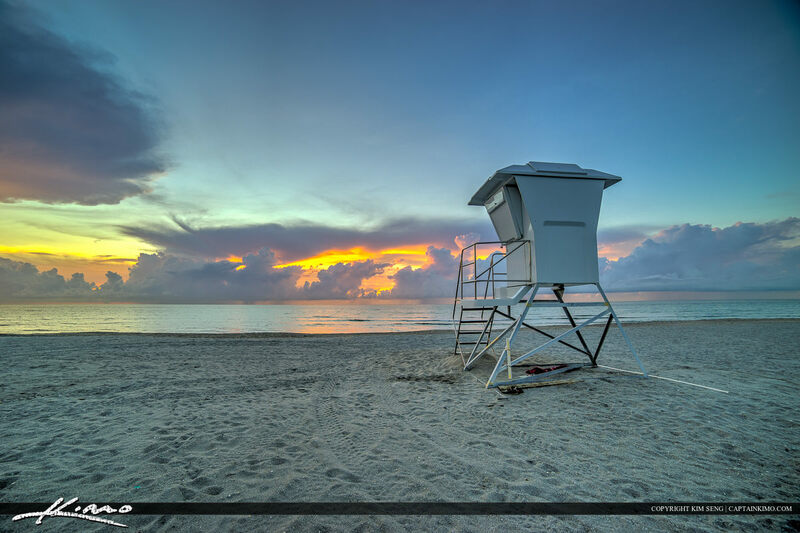 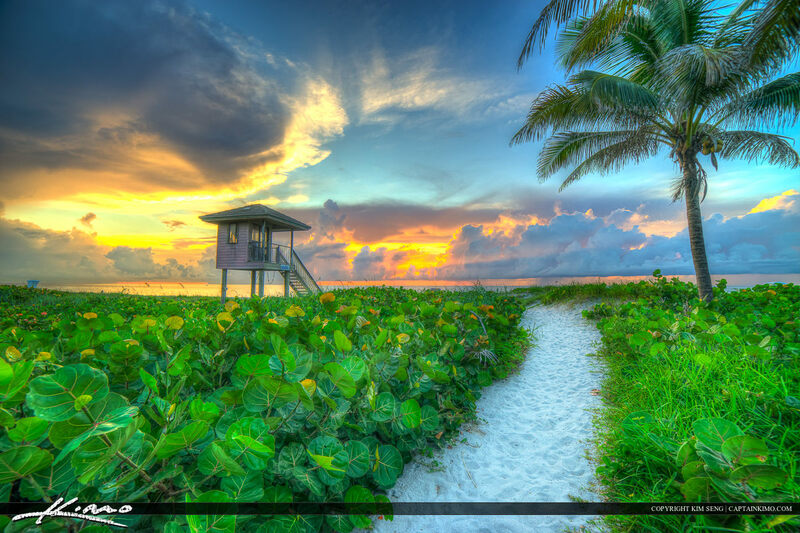 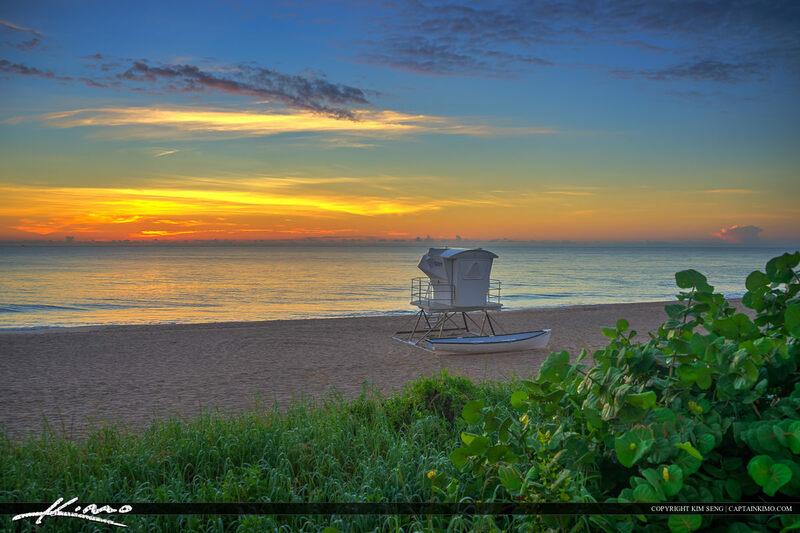 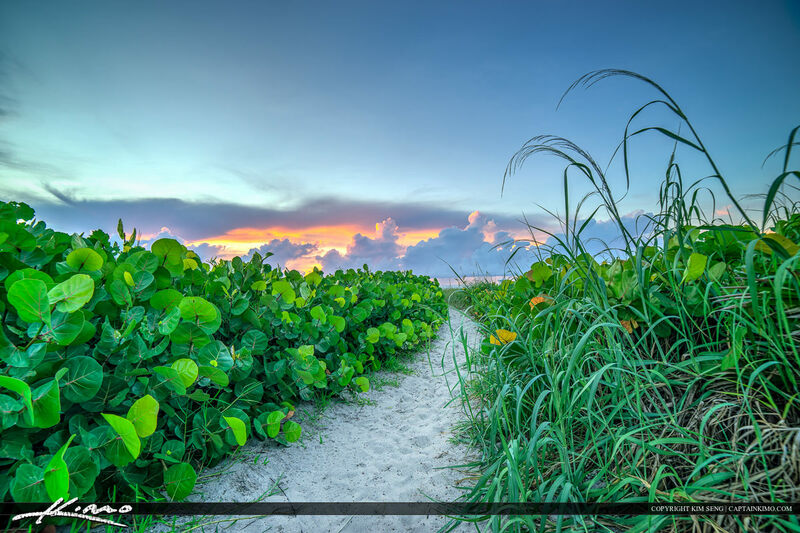 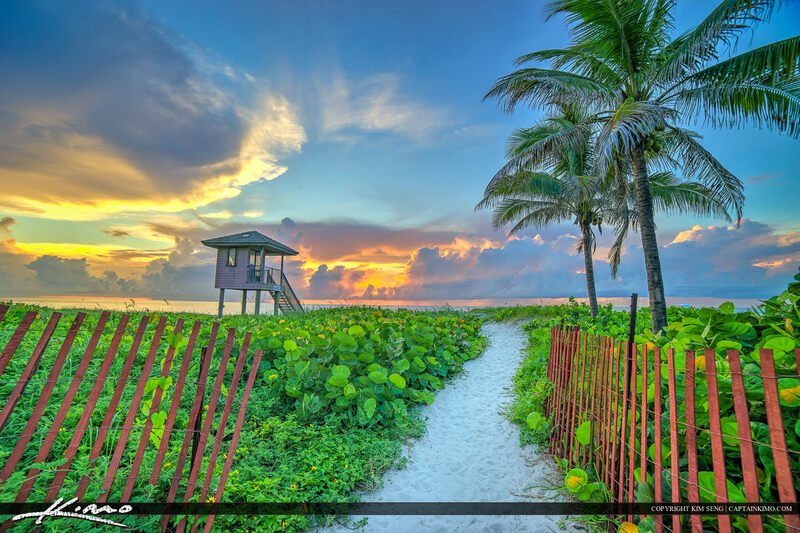 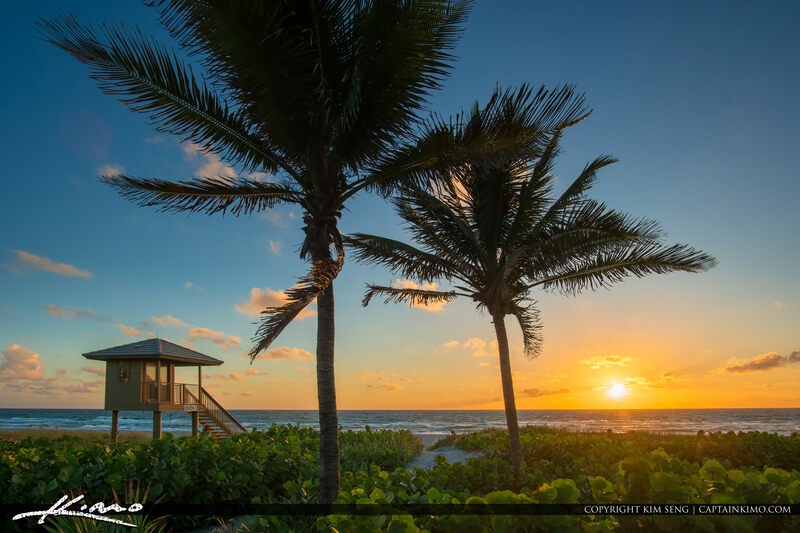 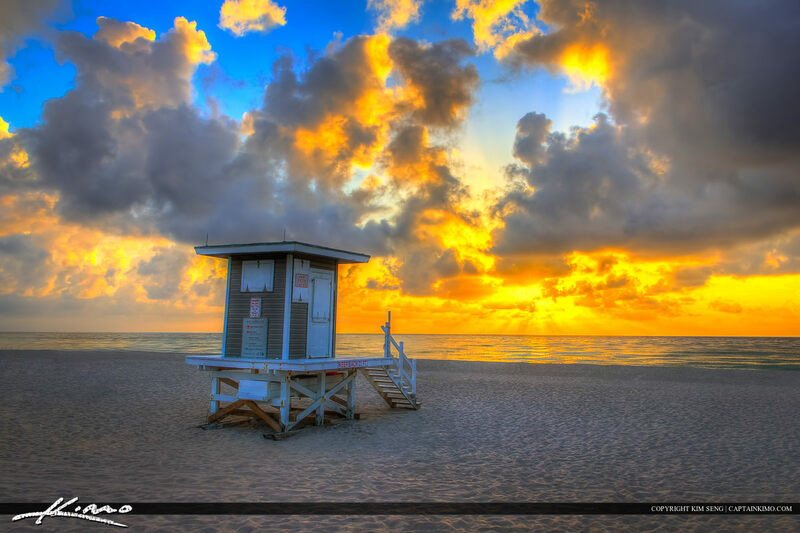 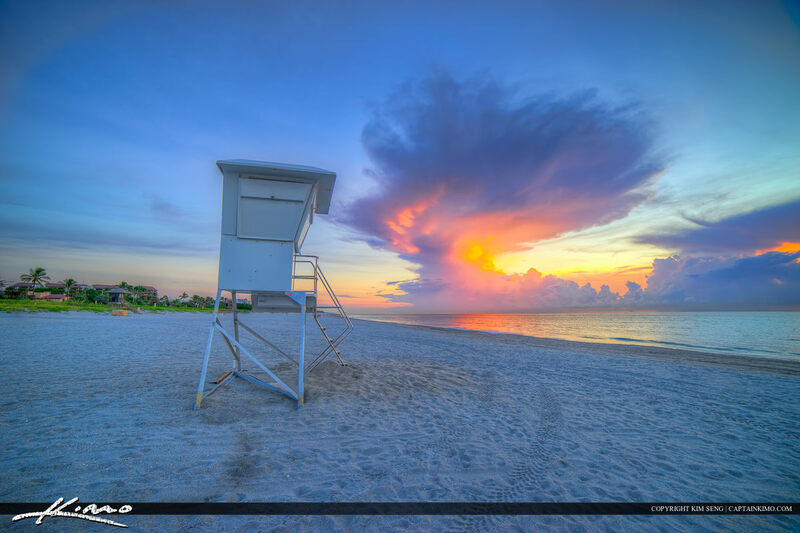 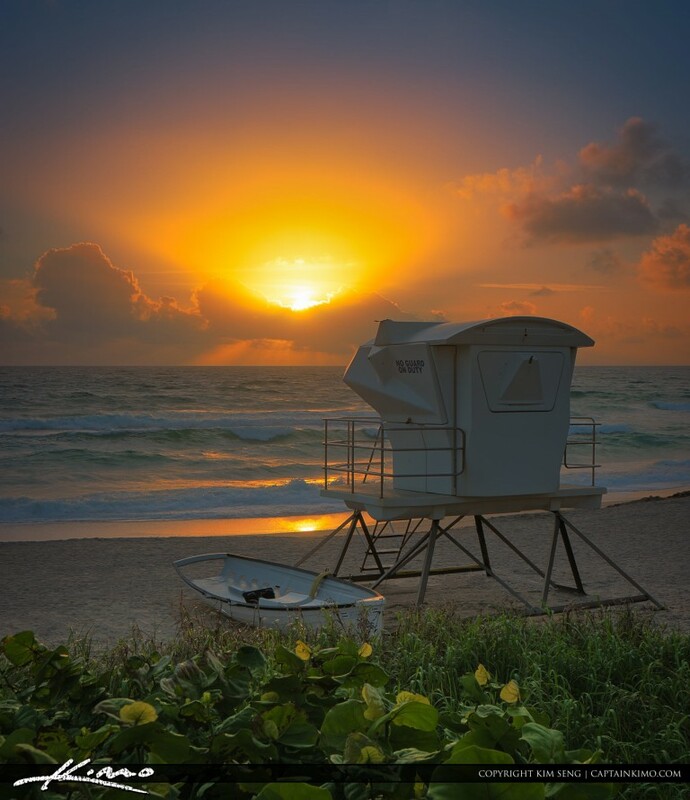 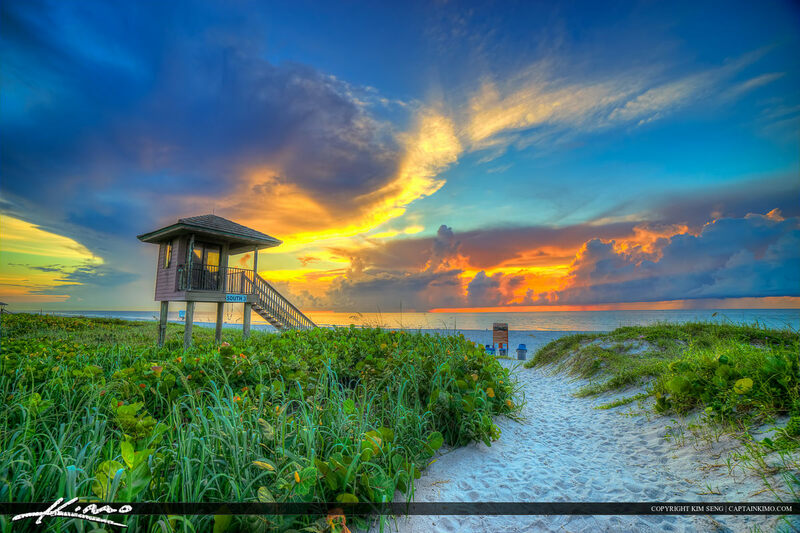 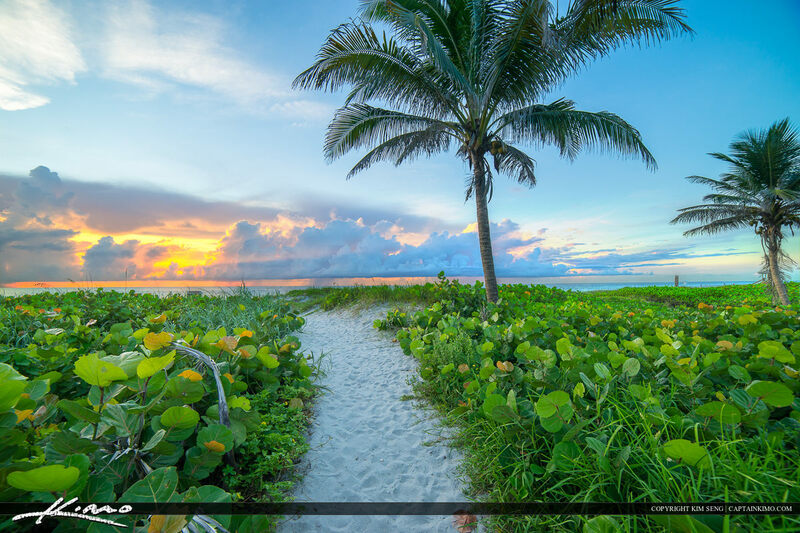 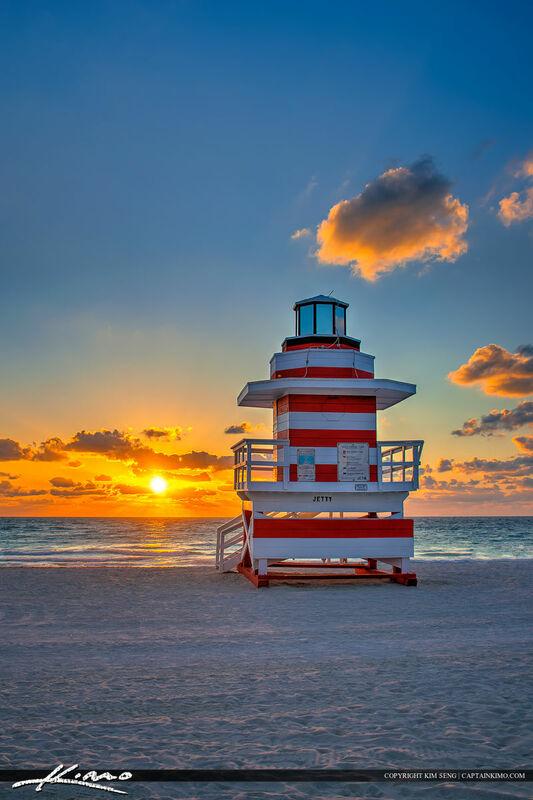 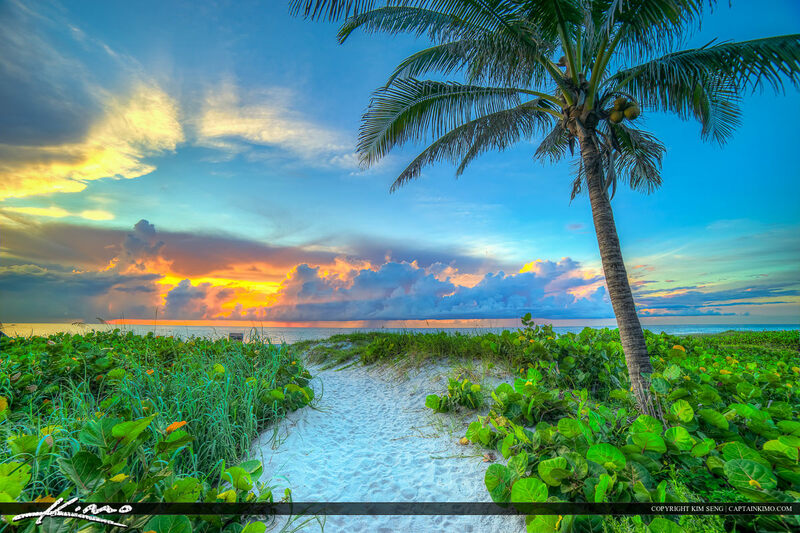 Amazing sunrise at the beach on Singer Island in Palm Beach County, Florida. 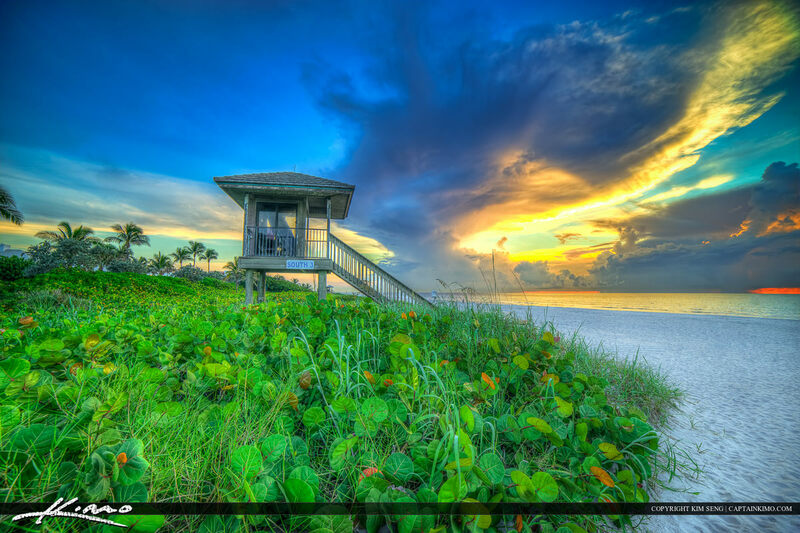 HDR image created using Photomatix Pro from three exposures.